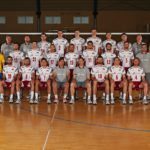 In 2015, we spent two days with the Polish men’s volleyball national team at their training centre in Spała. AK Media Supported the Great Orchestra of Christmas Charity. 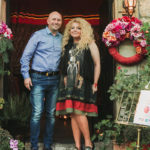 AK media won a 21kg chocolate statue of the Warsaw Mermaid at the charity event. 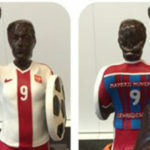 The statue was designed by Polish professional footballer Robert Lewandowski and was made by Confectioner Aleksander Sowa. The proceeds were given to the “Serduszko dla Dzieci” Association for children from the Warsaw-Praga district. AK AK Media made the winning bid during the Finale of the Great Orchestra of Christmas Charity for a visit to the “Wstajesz i Wiesz” breakfast television show on the TVN24 station, and a meeting with Agnieszka Cegielska of TVN Meteo, along with the programme host Jarosław Kuźnier.